Huanglongxi ancient town, an old town with deep tradition on construction style of West Sichuan. Around 50 kilometers from Chengdu, Sichuan Province, China. It is a popular scenic spot in recent years. 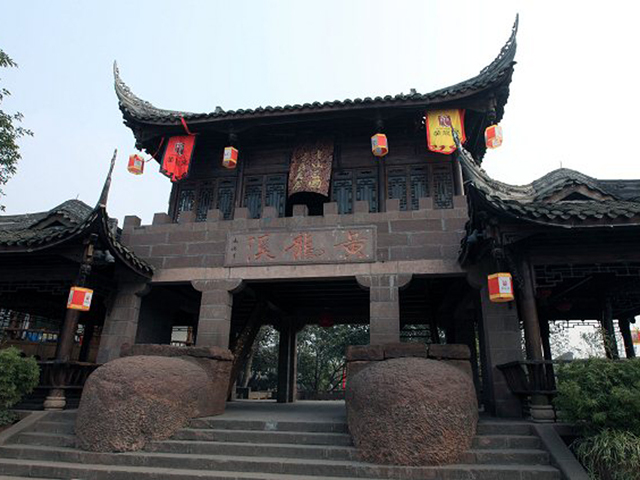 The Qing Dynasty style buildings here are well preserved and attract so many film makers to shoot exterior views, it has become well known for old temples in Huanglongxi, Zhenjiang Temple, Chaoyin Temple and Gulong Temple. Typical streets and government court yard from ancient Sichuan are very attractive.On the ninth day of the sixth and ninth lunar month, temple fairs recreate the lively scenes of olden days. A river running across from the town of Huanglongxi, a southern suburb of Chengdu, capital city of southwestern China's Sichuan Province. 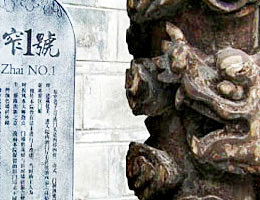 The town, located at the interesection of three counties, is where Gushu (ancient Sichuan) residents have lived 2,000 years ago. 10 square kilometers of the 50.4 total were developed into tourism hot spots to welcome travelers, researchers, and film-makers from around the globe. Chengdu belongs to subtropics monsoon climate. It has early spring, hot summer, cool autumn, and warm winter. 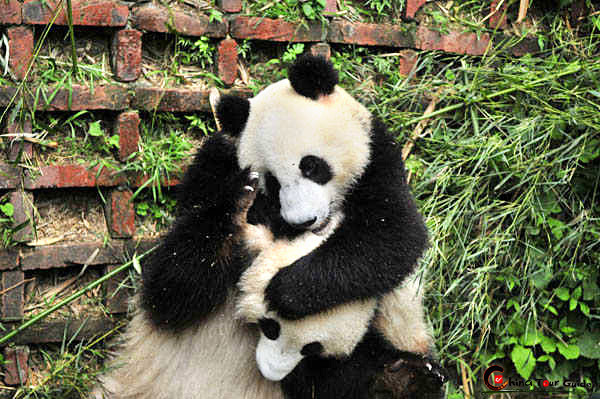 The average temperature in Chengdu is 16℃. The best travel time is from March to June and from September to December. 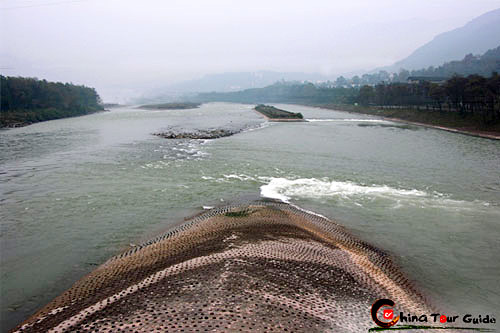 The beautiful town of Huanglongxi is named after the Huanglong River which flows through it. 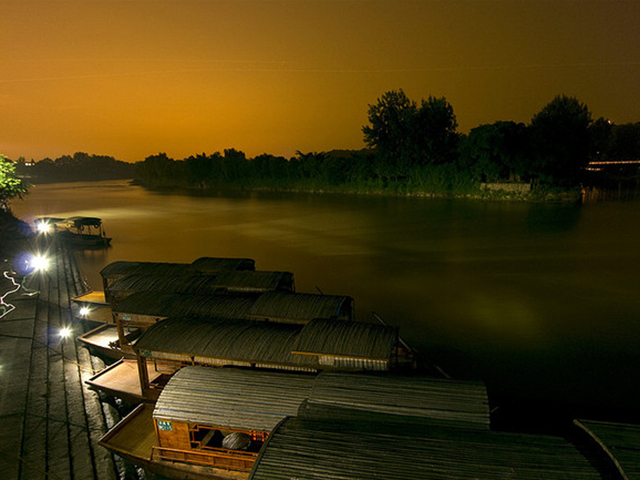 You could take a boat ride or dine at one of the many river view restaurants. The boat ride is as romantic as the one in Venice or Paris. Feelings of Ancient Towns Huanglongxi Ancient Town With a history of more than l700 years,Huanglongxi Ancient Town in Shuangliu County is the land of China Folk Arts(Fire Dragon)famous provinciallevel scenic area as well as wellknown historic and cultural ancient town of Sichuan Province The architecture in style of Ming and Qing dynasties are preserved well. Now in this town 7 typical streets of Ming and Qing dynasties1146m longare available.Its 76 houses built in Qing Dynasty impress people by their simplicity. 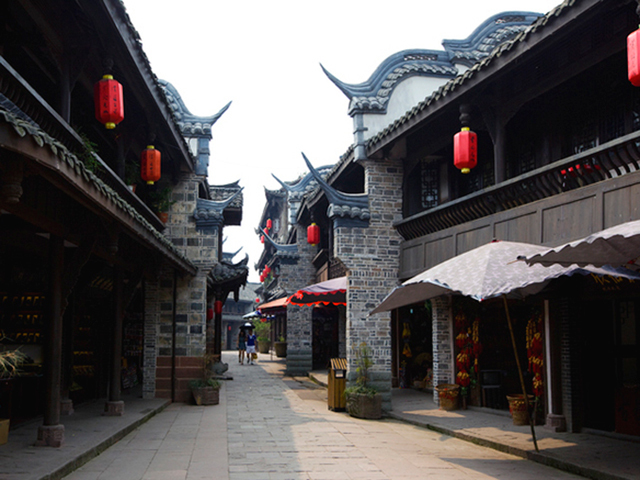 The curving alleyways will surely charm you once you if you visit the Huanglongxi Ancient Town. These are worth exploring because you never know what gems are hidden behind the curves. You can go o¬n exploring and suddenly on one corner you find an ancient temple. You go enter the doorway and suddenly you land up in the temple courtyard. 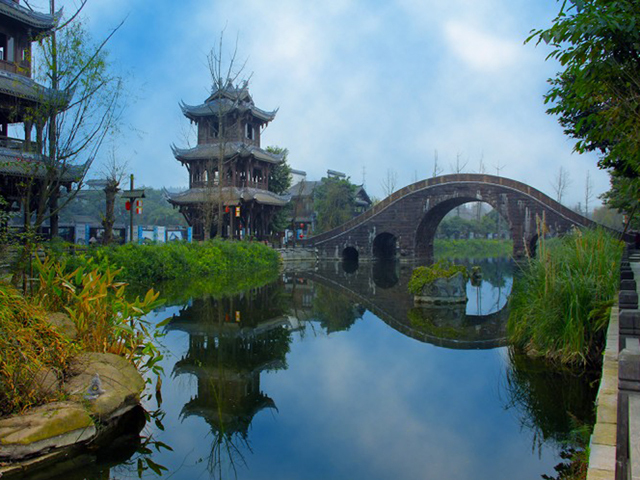 The town features a number of temples and some of the well known ones include Zhenjiang Temple, Chaoyin Temple and Gulong Temple. 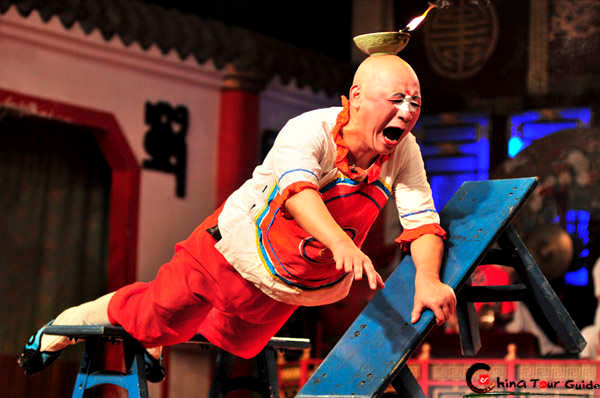 Temple fairs are organized in Huanglongxi Ancient Town on ninth day of the sixth and ninth lunar month that creates lively scenes from the olden days. The roofs have pointed eaves. There are spot tiles that have been encrusted with aged moss which gives the entire building an aged and also very hard to copy. It is for this reason that most of the film makers choose to shoot exterior scenes of period movies in this town. The town is indeed charming and you must visit if you have the opportunity of going to Sichuan Province in China.